The Director of Global GSA Group and TCGI, Ismail Durmaz, received this year's Martin Schröder Award 2018 from Maaike van der Windt, Director Aviation of Schiphol Group. Global GSA Group represents more than 60 carriers across 53 countries. TCGI has been the operator of Maastricht Aachen airport since July 2016. Durmaz started at local Netherlands-based GSA company Global Airline Services in 1995, which he has helped to build into a global player in the air freight business. “In doing so, he never lost sight of Schiphol and made an important contribution to the airfreight market in the Netherlands,” said the judges of the Award, who commended Durmaz for his entrepreneurship, dedication and perseverance. 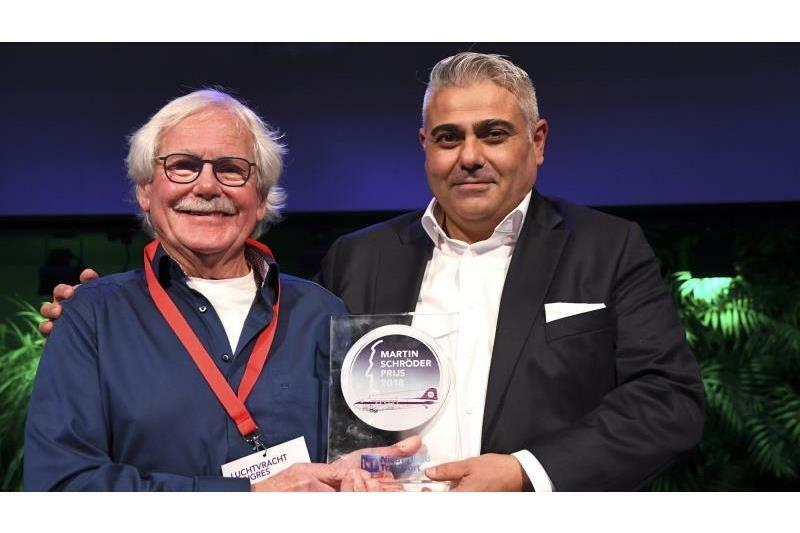 The award ceremony was hosted on November 29, during Nieuwsblad Transport’s Air Freight Congress 2018. The judges also praised his courage in taking over the management of the heavily loss-making Maastricht Aachen Airport in 2016. Maastricht Aachen, the second airport after Schiphol in the cargo area in the Netherlands, suffered not only large losses but also significantly decreasing freight volumes, leaving its survival uncertain. “After the takeover of the regional airport, Durmaz has been working on an ambitious freight expansion and investment plan for MAA. As a result, cargo traffic has doubled in two years to more than 110,000 tons and a second cargo shed is now being built, targeting an annual handling of 250,000 tons,” the judges said.